Samsung Electronics saw its operating profits nose-dive by nearly 40 percent in the fourth quarter last year, mainly on weakening market demand for memory chips, the biggest source of its profits, the company said Tuesday. In a regulatory filing, the world’s largest manufacturer of chips and smartphones posted 10.8 trillion won in operating profits in the past three months, a 38.5 percent decrease from 15.1 trillion won posted for the previous quarter. It is the lowest operating profit figure since the first quarter of 2017. Sales also dropped 9.9 percent to 59 trillion won from the June-Sept. period. The company plans to release its net profits by the end of January. The earnings report further depressed share prices, which had already fallen 24 percent last year. Shares traded at 38,150 won as of Tuesday’s closing, a 1.68 percent drop from the previous trading day. The operating profits fell far short of the market expectations of 13.6 trillion won, stoking fears among investors already rattled as a result of the global tech slowdown. In a move to ease market confusion, the company issued a rare statement saying weak memory chip sales and escalating market uncertainties were to blame for its lower-than-expected earnings. 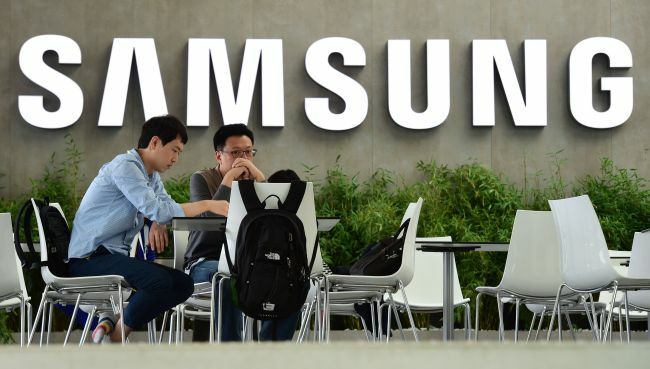 In the first commentary the company had attached to any of its regulatory filings since late 2014, Samsung said profits would remain weak in the first quarter of this year, but could be expected to rebound in the second half on the anticipated recovery of the memory chip market. The company added a comment four years ago when its smartphone business hit bottom. The disappointing operating profits were announced a week after Apple cut its sales forecast. At the time, the US tech giant blamed slowing iPhone sales in China and lingering uncertainty over US-China trade relations. Apple is Samsung’s biggest customer for memory chips and smartphone screens. Despite the deteriorating market environment, Samsung expressed confidence that its profitability would recover in the second half. Market analysts backed Samsung’s prediction, citing the company’s new CPUs and the planned debut of a foldable smartphone. But Samsung may have to reduce its chip production capacity if it is to achieve a recovery in the second half, they added, considering the pressure the company and its smaller rival SK hynix face to cut chip prices. “Samsung Electronics has already delayed the shipment of memory chips, partially due to sluggish market demand in the final quarter of 2018,” said Doh Hyun-woo, a tech analyst at NH Securities and Investment. “Reduced shipments are set to increase chip inventories. The way Samsung handles its inventory will be a key point in balancing supply and demand in the chip market,” he said.